This convenient, affordable program is designed for working educators who want to add to their professional credentials. It is the perfect online option for those who hold a Kansas teaching license in education at the elementary or secondary level, or for those currently working toward licensure in one of these areas. Teachers holding licensure and a high-incidence special education endorsement may be licensed to teach children with intellectual disabilities, behavior disorders, and learning disabilities. Most courses include a field experience that helps you connect learning to the classroom. Advance applications are required for the clinical experience and internship. Placements must correspond with school schedules and hours.  Sterling College reserves the right to make changes to this curriculum outline.